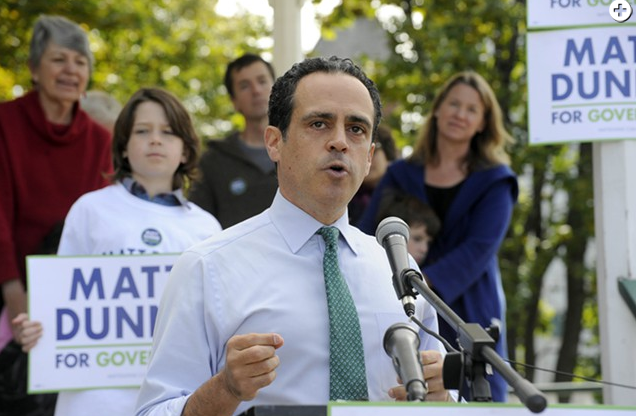 Democratic gubernatorial candidate Matt Dunne and his wife made $626,754 in 2015, according to tax returns he released Friday. Dunne also released a list of his assets, which include five rental properties, retirement accounts, a savings account, three cars and a tractor. Along with Sue Minter and Peter Galbraith, Dunne is one of three Democrats seeking the party’s nomination for governor. Two Republicans, Lt. Gov. Phil Scott and Bruce Lisman, are seeking their party’s nomination. Minter and Galbraith released tax returns earlier this month. Lisman in December released his net worth and said he would file 2015 tax returns in October. Scott is expected to release his tax returns later this week. Minter worked as state transportation secretary until September. She and her husband reported earning $152,068 in 2015. Galbraith is a former diplomat. He and his wife reported earning $599,609 in 2014; he said he would file for an extension on his 2015 tax return. Lisman, a retired Wall Street executive, reported earning $1.7 million in 2014 and put his net worth at $50.9 million. Dunne worked as community affairs manager for Google until he resigned February 1 to focus on the campaign. He reported earning $618,928 from the company last year and $151,000 this year, before resigning. Four rental properties in Vermont and one in Washington, D.C., netted him $117,083 last year. His wife, Sarah Taylor, earned $21,153 last year as a writer, and the couple earned $1,140 in farm income. Dunne, 46, reported $240,000 in retirement funds, listing those investments in detail, along with $52,000 in college funds for his three children and $95,322 in savings. Dunne’s Hartland home is worth $745,000, and the family has a $271,551 mortgage on it. Each of their rental properties also carries a mortgage, Dunne reported. He also owes $22,000 on his 2012 Audi, though the car’s value is listed at $18,000. Candidates are not required to list their financial assets but traditionally do as a way of showing voters where their financial interests rest.